On June 5, NCA eighth graders walked the halls of the Middle School Campus for the last time during our beloved Final Walk tradition. Middle School students, teachers and staff lined the halls to cheer and wish our graduates good luck, and say good-bye. 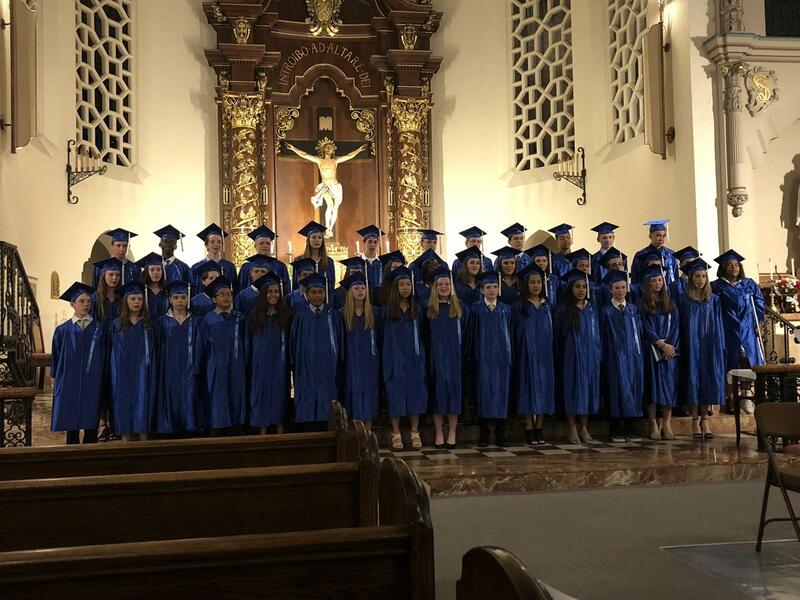 Later that evening, we held our Graduation Mass and Ceremony at St. Margaret Mary Church where we honored our graduates and celebrated their successes. This year, we are proud to announce that seven graduates received the prestigious President's Award for Educational Excellence, awarded to students who attain a GPA of 3.8 and score in the 90th percentile in both math and reading on the ACT Aspire test. We are proud of our graduates and their many accomplishments. NCA graduates will be attending top area high schools including Jones College Prep, Lane Tech, Whitney Young, Walter Peyton, Senn IB, Loyola College Prep, Notre Dame, St. Ignatius, Regina Dominican and DePaul College Prep. 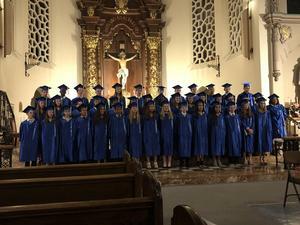 Congratulations Class of 2018!